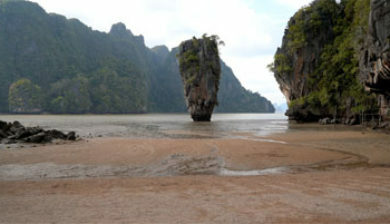 Phang Nga Bay (Thai: อ่าวพังงา, RTGS: Ao Phangnga, Thai pronunciation: [ʔàːw pʰāŋ.ŋāː]) is a 400 km2 bay in the Strait of Malacca between the island of Phuket and the mainland of the Malay peninsula of southern Thailand. 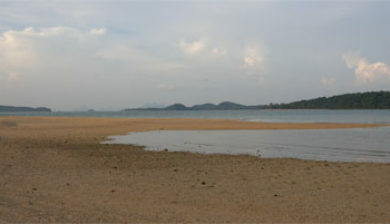 Since 1981, an extensive section of the bay has been protected as the Ao Phang Nga National Park. 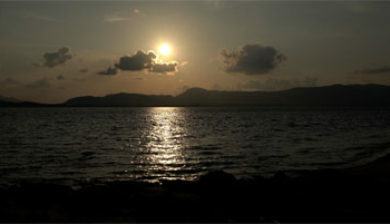 The park is in Phang Nga Province, at 08°17’N 098°36’E. 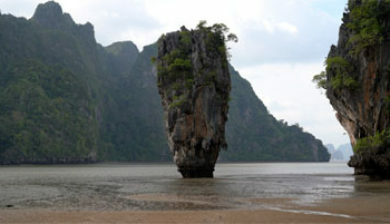 Limestone cliffs with caves, collapsed cave systems, and archaeological sites are found about Phang Nga Bay. 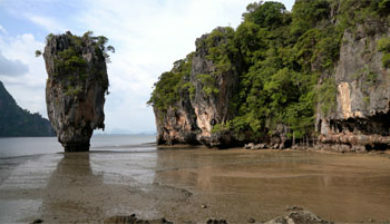 Around 10,000 years ago, when sea levels were lower, it was possible to walk from Phuket and Krabi. 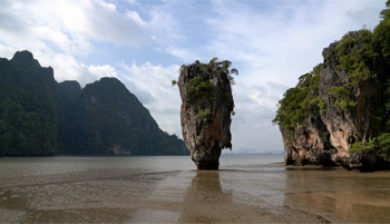 Phang Nga is the modern Thai transliteration of the Malay word pangan, literally ‘heathen, pagan, primitive people,’ or as proper nounal, Pangan in reference to a generalised tribe or people typically inhabiting jungle areas of the Malay Peninsula and it’s offshore islands. 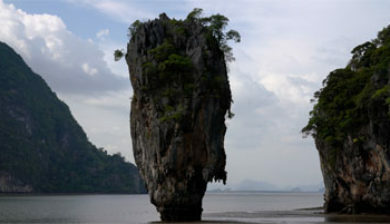 Historically, in 1824 when Siamese troops defeated the Burmese and the challengers were expelled, King Rama III renamed a major area adjacent to the bay phang-nga. 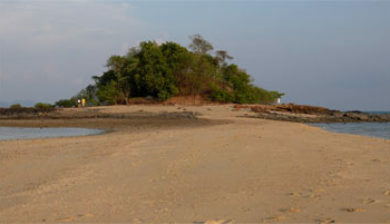 This bastardisation of Malay pangan offers vivid indication that the entire region was likely populated by Orang Asli or other aboriginal people. 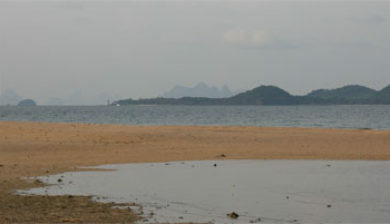 Phang Nga Bay Marine National Park was declared a protected Ramsar Site (no. 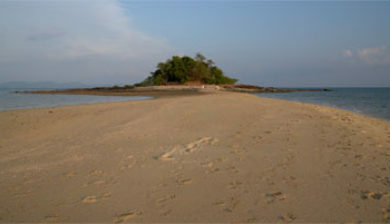 1185) of international ecological significance on 14 August 2002. 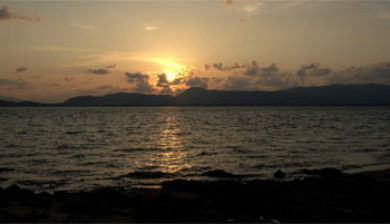 Phang Nga is a shallow bay with 42 islands, comprising shallow marine waters and intertidal forested wetlands, with at least 28 species of mangrove; seagrass beds and coral reefs are also present. 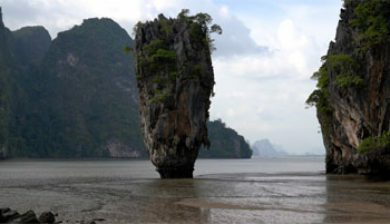 The most famous of the many islands in the bay is the so-called James Bond Island, a needle formed limestone rock in the sea, which featured in the movie The Man with the Golden Gun.